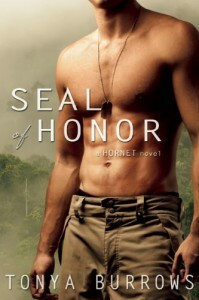 SEAL of Honor is book one in the HORNET series by Tonya Burrows. Equally hot and exciting, there’s not a dull moment to be found in this book. Gabe Bristow is disgruntled and trying to figure out where to go with his life now that a car accident left him unfit for duty as a SEAL. Reluctantly he agrees to a private sector job in a unit that’s just starting up, and the team find themselves under a trial by fire when they are called in to rescue a hostage in Colombia. The victim’s sister, Audrey Van Amee, is at her brother’s apartment in Colombia searching for clues herself when both Gabe’s team and the villains show up at the same time. Gabe and Audrey end up separated from his team and on the run from different guerilla factions. 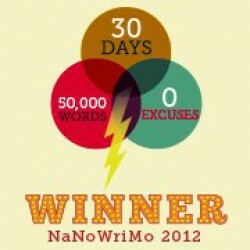 The bullets fly as fast as the heat flashes up between Audrey and Gabe. It was refreshing to have a heroine who was not military or law enforcement but managed to take care of herself and the hero as well. That’s not to say she didn’t make mistakes, but she and Gabe were pretty evenly split on taking care of one another. If you like your romances filled with action and suspense and surprise twists at the end, pick up SEAL of Honor.